This petition has already been signed using your email address. signed noted starred. stop violent entertainment. Thanked for signing.People who hunt and kill animals are less than human and as soulless as reptiles. Signed and shared on January 7, 2019, noted now. Thank you, Freya! This petition has already been signed using your email address. Thanks Freya! Your signature has been added. " Noted & So Signed, with Comments..
With Thanks to Freya for Sharing. I HOPE THE PERPETRATORS GET 30 YEARS FOR THESE HEINOUS CRIMES. 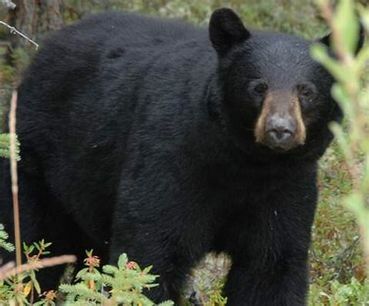 JUSTICE FOR THE BLACK BEARS. THEY WILL FOREVER LIVE SAFELY, IN GOD'S GARDEN.. R.I.P.